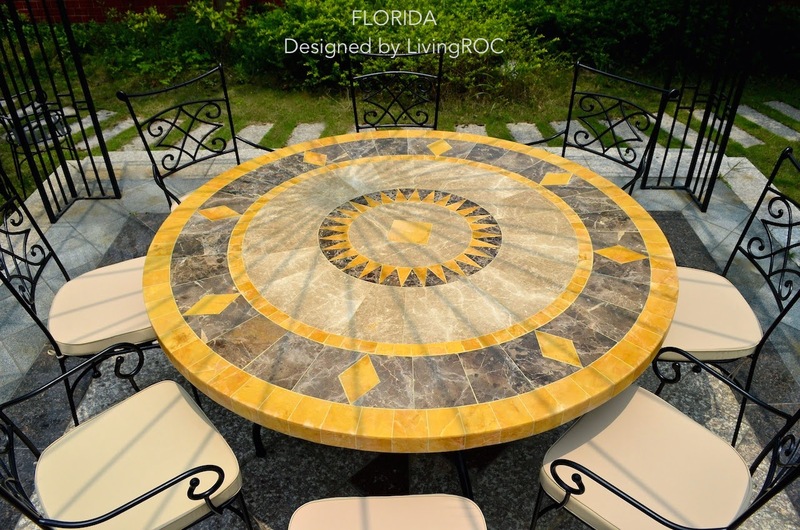 Warm weather is fast approaching, with summer gatherings and family events you can enjoy those nights around a beautiful natural stone patio table brought to you by LivingRoc. Welcome into our Patio & Garden Outdoor living space. Our mosaic Dining tables will help you discover a range of mosaics in natural stones (marble, persian travertine, slate...). Imagine the mixing of those beautiful materials with precision for an incredible and incomparable result with some simple terra-cotta. 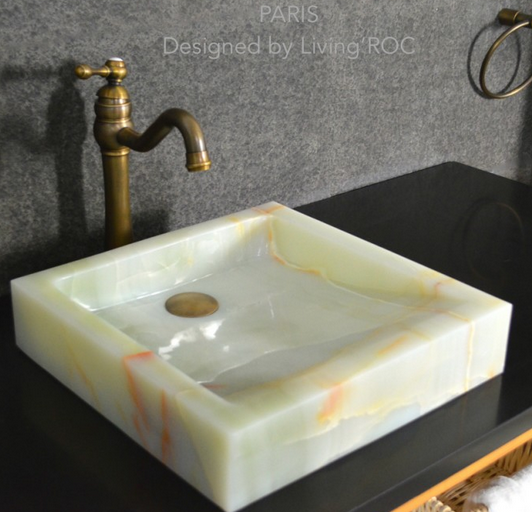 LivingRoc will bring in the excellence within your homes environment. Certainly one of the most beautiful tables in our patio range. 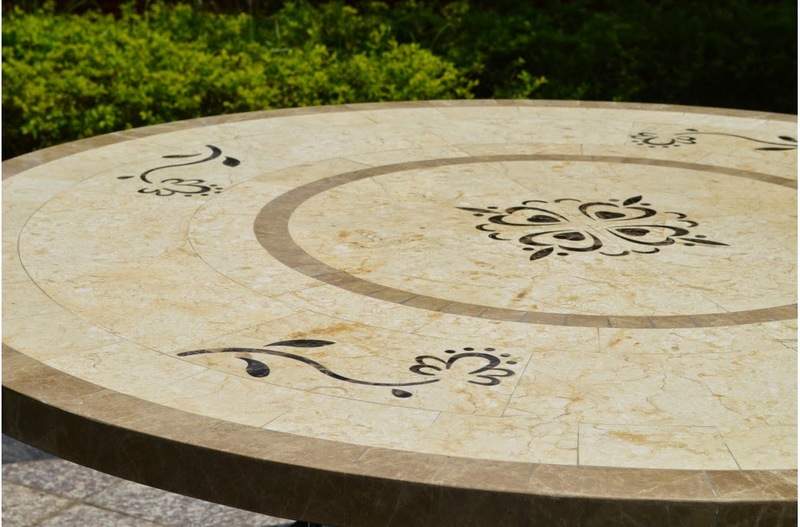 Our round marble table FLORIDA in available in a 49" or 63", sure to impress your with its pattern and uniqueness. 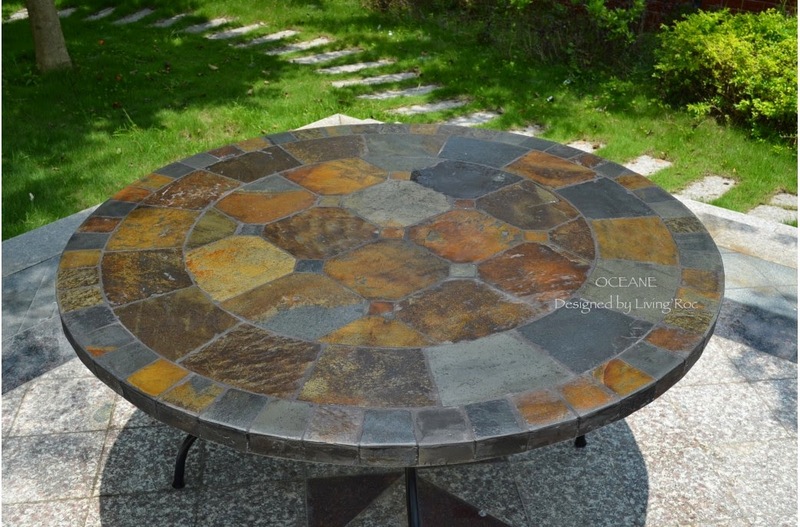 This natural stone table draws its energy essences from the sunny Florida styles. Luxury and refined either outdoor or indoor atmosphere the LUXOR will let yourself be seduced by the meeting of two noble materials, spanish marble and Egyptian Galala. The outdoor range is handcrafted and is suitable for all the lovers in search of fine material. Oceane is the work of talented stonemasons and craftsmen. This beautiful mix of silver gray slate and wrought iron is just perfect and its genuine rough look will bring to your living space a timeless charm. This outdoor range is handcrafted and will be able to allow relaxing with friends and family those great moments together something to remember. Please have a look into our outdoor garden living space at LivingRoc here.